With a sleek, ultra slim design the Spigen F303W Qi Wireless Charging Stand is a great space saving way to charge your Qi enabled smartphone at your desk, office or at home. 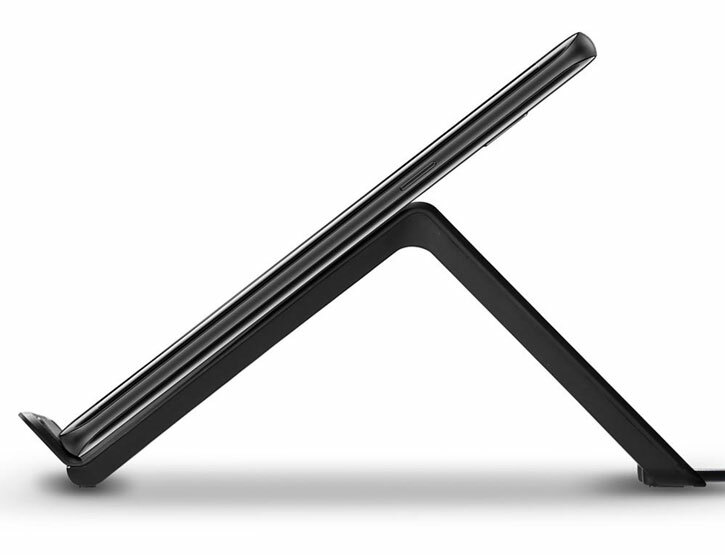 Designed for quick and intuitive charging, the F303W Qi Wireless Charging Stand allows you to charge your Qi compatible phone without the mess of tangled charging cables. 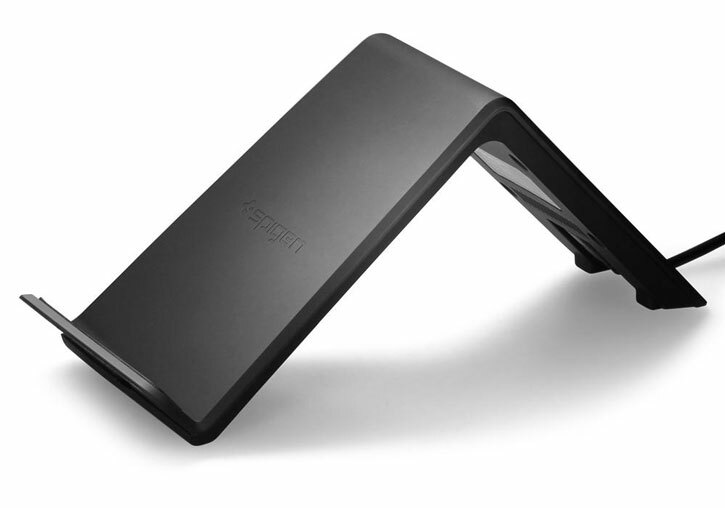 With dual coils cleverly positioned inside the stand, the Spigen Wireless Charging Stand features a greater charging range. 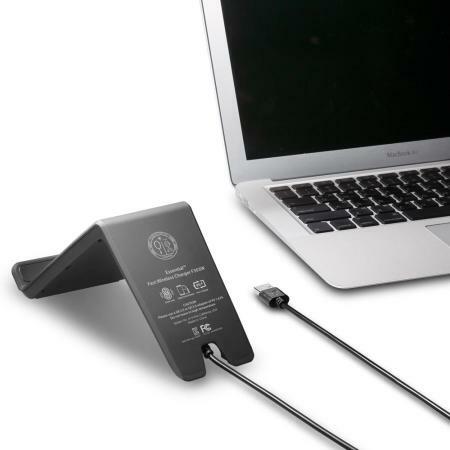 This increased accuracy allows you to position your smartphone as you'd like, without the need to constantly re-position just to find the Qi wireless charging sweet-spot. 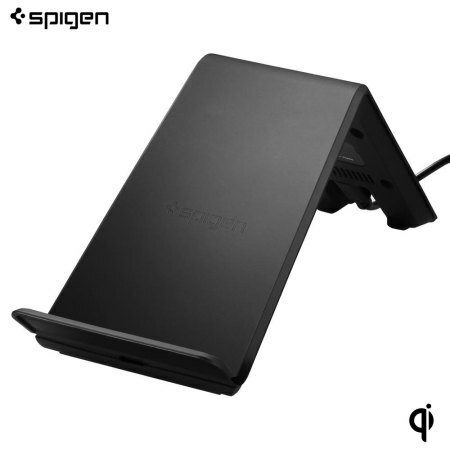 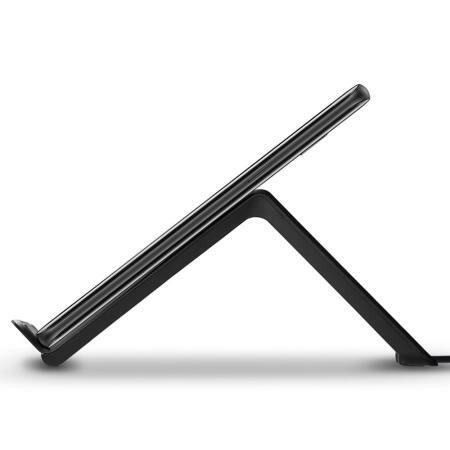 The Spigen F303W Qi Wireless Charging Pad is also a stylish desk stand that allows you to position your smartphone in any orientation for a perfect viewing experience. 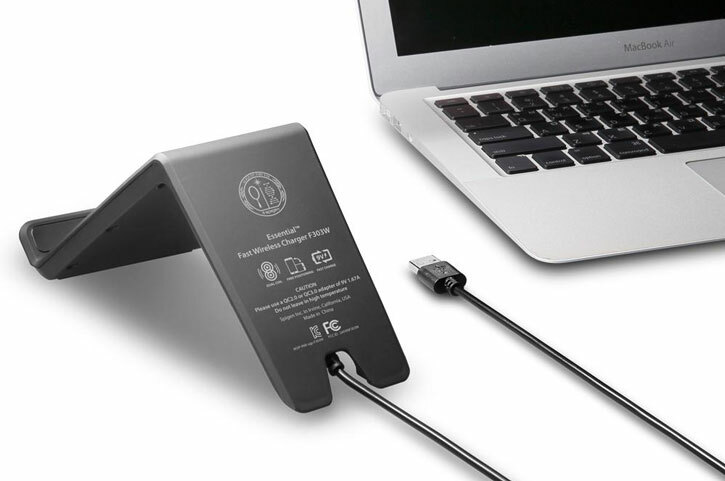 Please note: the Spigen F303W wireless charging stand is not compatible with Samsung Galaxy S8, S8 Plus or Note 8.